Finding balance in an unbalanced world. I’m homeschooling now. I was avoiding writing about it here on my blog because I considered this a food blog. Then as I thought it about it the other day, I changed my mind. Having only a food blog is not very balanced. I do so much more than just cook. (Although that does take up a majority of my day.) I make art quilts, mother, homeschool, organize, clean, can food, mend clothes, energy work and the list goes on. This blog is about finding balance. As I desperately try to do that I want to share what I do with all of you! I follow a philosophy of education called Leadership Education or Thomas Jefferson Education. I am new to this. I read a book about it almost 2 years ago as I brought my oldest child home from public school. I found it inspiring but didn’t pursue it more. Then last October I brought my other 2 children home. Then I started to panic. My oldest had a lot of education under his belt since he was in 7th grade. All year I left him to himself to find his path. Little did I know how well that was working. I was just so busy with other kids and I knew he was detoxing and I felt the Lord tell me to chill. So this last few months I’ve read a lot more of the Leadership Ed books and joined a commonwealth. I am now one of the co-directors and the treasurer. It’s been very busy. My middle two have been detoxing and they are doing great. I love seeing them being in charge of their education. I love that I don’t have to sit down and require things of them. It’s all about me learning and studying which has reawakened a love of reading and writing I had left behind for years. I love learning along with my kids. Whatever they are excited about I help them find books or websites about it and we study together. It’s so great! I help my children find their mission in life and I see that I am finally finding mine! I’m so grateful for the balance that homeschooling has brought to my family. We have our days of imbalance as we adjust to everyone being home all the time but it’s worth it! I haven’t been on here for quite some time. My life got turned upside down with the decision to homeschool my kiddos. It’s been wonderful and so far I love it. New recipes have been on the back burner and will be for a while. I’m hoping to share some of my homeschool successes on here as well. If you need a certain recipe let me know and I can put it up. I just recently made one that I love. It’ll come soon. Think Brats! As you are contemplating the end of 2011 and the start of 2012 I’m sure you are thinking about goals. This year we had a flourescent orange posterboard that we wrote our family goal of “Less Contention” on the top. Then each of us set a goal and wrote it underneath. We then hung it by our bathroom and pantry where we could see it frequently. Well in May I bought a large amount of food storage such as beans and rice and oats that were packaged in boxes and stacked in front of the poster and left for approximately 6 months when my husband got fed up with me kindly stashed it under the house for better storage. All of a sudden there was our bright orange poster and all our goals I had forgotten about. Well less contention is still a goal and probably always will be with a house of 3 children. My personal goal was to make healthier meal and snacks. WOW! I think I had done well with that goal! When I set that goal I had no intention of changing all of our habits and reading a life changing book (Nourishing Traditions). I had prayed about the goal. I had asked my Heavenly Father to help me do better and to feed my family better. I know there are foods that will help my son with ADHD. I was tired of my “food allergies” to milk and sugar. My sister had been very ill for one whole year and she talked to me often of what she was doing to change her health through food. I thought it was really weird and way too hard at first. Then she talked to me about the benefits of raw milk. I was intrigued by this since I had a naturpath tell me once that I was allergic to the pasteurization of the milk not the milk itself. My sister challenged me to do my research. She encouraged me to read the Weston A Price website. I did and as I read I felt that this was the answer my family needed. So the 2nd or 3rd week of January 2011 I bought raw milk instead of mixing up our usual powdered milk we had drunk for 2 plus years. Then I read more and learned about the dangers of rancid oil which all canola, corn, vegetable oil in stores are. So I bought coconut oil and used more butter. I started reading labels and throwing everything away in my pantry that had bad oils or soy or sugar in it. Which was everything in a box! Within 2 weeks we had drastically changed the way we eat. Mainly more vegetables and fruits. By June I was feeling so good. My milk allergy was resolved. 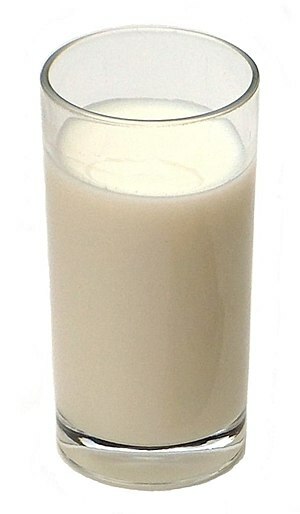 I no longer got stomach aches or stressed out when I drank milk. I hadn’t eaten sugar or fast food since January. We prayed about eating meat, chicken, & pork more sparingly and to eat more fish like salmon. I felt even better. I had so much energy. I was in the kitchen a lot but I loved it! I learned to make my own yogurt, tortillas, and to render my own lard. Looking back on the past year I am amazed at how much we’ve all changed and how good we all feel. People often ask me why I eat like this or why I made this huge change, I feel like God led me to do this for my family. It’s not just about taking chemicals, sugar, pesticides, processed foods out of your diet. It’s about putting food into your body that nourish it. It’s about feeding your soul not just your appetite. I don’t want to be sick like my sister and mom have been. I don’t want my husband to die of a heart attack like my dad & his grandfather and I really don’t want cancer . It’s attacking younger and younger people. It’s everywhere. Why? If I can prevent this now why not? If you are wondering what your goal should be for the new year or wondering how you could make such a huge change in your life, start small. Pick one thing to start doing and do it for one week. Then pick another thing the next week and add it to your list. You don’t have to be like me and change everything in a matter of months. But you will be surprised how good you feel and how much more energy you will have even if you just pick one or two things below. 1. Read labels. Know what you are putting in your mouth. 2. Stop eating out, at least the fast food. Watch Food Inc. It will make you stop eating that poison. 3. Eat more fruits & vegetables. Sign up for Bountiful Baskets. If it’s in the house you’ll eat it. You can even order organic! 4. Find out why you should eat organic. Learn about the dirty dozen and buy those 12 veggie/fruits organic but don’t worry about the rest if you can’t afford it. 5. Drink raw milk. There is live enzymes in raw milk that help your body digest it more easily. pasteurization kills germs but all the vitamins and nutrients as well. 6. Change your oils to coconut oil, butter, ghee, lard(that you render yourself) and olive oil. Don’t cook with olive oil though. 7. Eat more raw. Raw veggies, & fruits have live enzymes that your body needs and are healing! Try to have something raw with every meal. 8. Eat a good nourishing breakfast. Try my pumpkin french toast or millet cakes to get more veggies in without noticing them. 9. Buy eggs from pasture-fed chickens. There is a difference you will see it in the color of the bright yellow yolk. You will get CLA and other vitamins and leave out the nasty soy and corn that they feed to those other chickens at the store. 10. Eat locally and in season. If it’s winter you shouldn’t be eating strawberries unless you live in a climate that strawberries are growing. Eating locally you can ask if the produce has been sprayed. If it’s local then it’s fresher and has less time to lose vital vitamins and minerals. 11. Eat meat more sparingly. Cut out nitrates that are in sandwich meats, hot dogs, sausage, bacon and anything cured. This is just a few baby steps you can take. I’ll post more later. But for now hopefully this will encourage you to make some good changes in your life without feeling overwhelmed. You won’t believe how much better everything tastes until you try it. Getting Ready for School Lunch? More & more schools are being targeted about their unhealthy lunches. I still don’t see progress being made in that area. Our kids need good whole milk not skim and no matter what you say chicken nuggets just aren’t “real” food and fries are not a vegetable! My kids take sack lunches everyday. My 7 year old is pickier(not bad but pickier) and likes jelly sandwiches every day with applesauce. My oldest likes leftovers or other things but hates sandwiches. I try to have a pretty good variety of things around for them to pick. I am not a fan of cold lunches so I try to make theirs as appetizing as possible so it doesn’t get tossed in the trash. So here are a few ideas and I will add more as my kids come up with them. We have an excel spread sheet that I typed up with 5 categories then my kids pick one from each category. It reminds them what to eat without staring in the fridge and it reminds me what I need from the store when I ‘m making my list. I have a stash of extra plastic spoons & forks, plastic bags and paper bags all set up on one shelf in my pantry. Next to it is a basket with snacks like trail mix, nuts, fruit leather, dried fruit and other dry homemade snacks. They can grab them quick to throw in their lunch. This year I’m going to get a rubbermaid and stock it with veggies and fruit already cut and bagged in the fridge so they can grab it quick too. OK so here it is. My first official blog not about food! I think it’s a good one to start out on too. Choosing to stay at home versus working. I have never, ever wanted to work outside the home. I did for one year after I was married as a substitute teacher/nanny. I really didn’t care for it. I’d like to use stronger words than that but I am trying not to say the “h” word since my 3 year old has picked up on it! I love that my time is my own and I can choose how I spend it! Yes I have a lot of work to do like dishes, laundry, menu planning, etc. But if I want to put it off for an hour while I read a book I can with no guilt. The vacuuming will still be there tomorrow. I love that I can plop down and play dolls with my daughter or quilt or plant flowers and ignore my house. I love that I am home to greet my boys when they get home from school. I loved it that I grew up with a mother that stayed at home and was always there when I got home. I loved that in Junior high when I forgot a book she was there when I called to bring it to me. Or if I was sick she was there to take care of me or do the housework while I laid in bed and read. I never doubted that my mother loved me because she was there. She taught me how to take care of a well-run home. She taught me the importance of making meals, sewing clothes, civic duties, and church callings. She didn’t lecture, she lived! This is quantity time! I watched her and she taught. I’m sure she was aware of the teaching going on, heavens I was the last of six children. She had it down pat by the time I came along. I found this talk in a book that I highly recommend!!! I found it at Deseret Industries(a thrift store) for $2.00. LDS Women’s Treasury published by Deseret Book, is a collection of talks written by mostly women on being a woman today. I found a talk by Beppie Harrison called “A Deliberate Choice:Staying At Home.” It is long but wonderful. I searched for her talk online and found this one from the 1982 Ensign that says almost the same thing but a little shorter. Please read it. It will inspire you that the little things we do each day as mom’s and women are not going unnoticed. Our children are watching us. They are our most important audience.